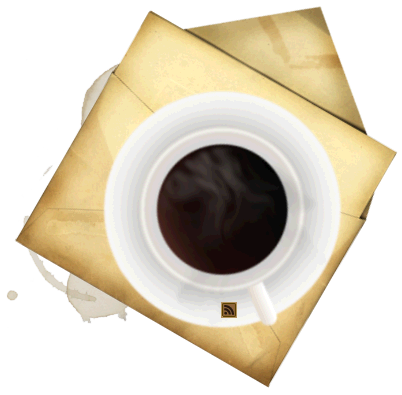 This post originally ran on October 21, 2009. Please enjoy this series from my early blogging months. 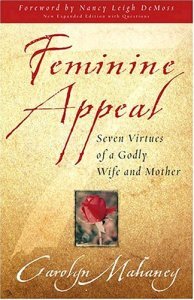 Among my current reading list is Feminine Appeal, Seven Virtues of a Godly Wife and Mother by Carolyn Mahaney. This is part seven of a discussion on the seven virtues of a Godly wife and mother she amplifies in her book. This virtue is, today, the most controversial of all of the virtues. It’s easy to say, “Of course I love my husband, and I love my children. I’m a kind person who makes her house a home and has self control.” But now we’re getting to the part where a lot of women tend to buck. And I think the reason is two-fold: one, society has given this impression that wife’s submission is the husband’s idea; and two, we think the word ‘submission’ translates to ‘door mat’. According to the Bible, nothing could be farther from the truth. 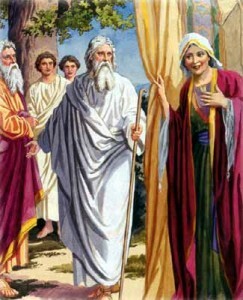 According to Genesis 1:27, God created male AND female in His image. We women are as much in the image of God as men are. In a marriage, wifely submission does not mean male dominance or male superiority. Genesis 2:20-24 says, “I will make him a helper suitable for him…and they will become one flesh.” The term “one” used here is the same term used in Deuteronomy 6:4 describing the holy trinity: “Hear O Israel: the Lord our God, the Lord is one.” I think that is a powerful message from God that puts man and wife as one – one flesh, one in the eyes of God as much as the trinity of God is one. Genesis 2:20 calls woman man’s helpmate, not “helpless” mate. In 1 Corinthians 11:3, God said: “3Now I want you to realize that the head of every man is Christ, and the head of the woman is man, and the head of Christ is God.” The word “head” here is a military term, not a social placement term. In a book I read it as “first among equals.” Someone must be head, there must be order and ultimate authority and responsibility. To God, that is the husband, even though the wife is his equal in the eyes of God. A lot of marriages suffer because husbands and wives try to make themselves the same – treat each other the same – rather than revel in our differences as different sexes. For instance, God commanded men to unconditionally love their wives as Christ loved the church (in that Christ died for her). We all know that and can recite it by rote. Unconditionally love – so that even when a man’s wife is unlovable, he’s still to love her with the same vigor and passion that Christ gave the church when He was beaten to the point of not even being recognizable as a human, and then killed in a heinous fashion. But what we don’t also hear is that women are NOT only commanded to love their husbands, we are primarily commanded to unconditionally respect our husbands. Whether our husband “deserves” respect in our eyes or not, we’re to respect him, to show respect, to freely give it. And submit to him. And within establishing these commandments, God gave women a yearning to be loved and men a yearning to be respected. And I believe that it goes further that men yearn to be respected as the head of the household, submitted to as the leader. The biggest problem women have in submitting to their husbands is a consequence of the Fall. Genesis 3:16 says, “their [wives] desire shall be for [their] husband[s].” The word desire here actually means an urge to manipulate, control, or have mastery over. As Carolyn Mahaney says: So we see that the submissive wife – far from being the weak-willed woman our culture portrays – is actually a model of inner strength. By God’s grace, she has conquered this opposition within her own heart. It is actually weakness on display when a wife is not submissive; she is only caving in to her natural inclination to usurp authority and demand her own way. That doesn’t take any effort at all. We can use 1 Peter 3:1-6 as a good outline of submission. Verse 1 parrots the same words as in Titus 2: wives, submit to your OWN husbands. This is a very clear distinction. This does not say, women submit to men. It says, wives submit to YOUR husband. We should not seek leadership from men other than our own husbands, we are subject only to our own husbands. Looking at verse 2, it says that our attitude should be “respectful and pure.” The Greek word for “respect” means, “to be in awe of, to revere, or to treat as someone special.” Is this how we treat our husbands? Do our actions, tone, countenance, body language all express respect? To be clear, the Bible doesn’t say, “Wives submit if your husband is worthy of respect.” Again, we are commanded by God to respect our husbands and submit to them. Period. Unless there is a Biblically moral issue at stake (in which God’s authority will supercede our husband’s) then we are to submit to them whether they’ve “earned” it or are “worthy” of it or not. Verse 3 tells us that being submissive to our husbands makes us beautiful. This is not an outward beauty. 2 Corinthians 4:16 says that outwardly we are perishing. Looking in the mirror, I can see the years slipping away, gray hairs, wrinkles, places not as firm as they once were. But that is merely outward appearance. 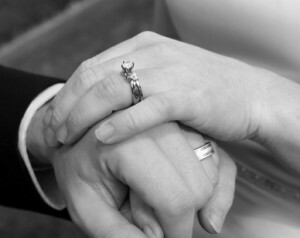 God looks at our hearts, and when he looks at a wife who submits to her husband, he sees beauty. I believe that our husbands will see us as beautiful, too. Verse 5 tells us that while we are to respect and submit to our husbands, we aren’t to make them gods. They are humans, fallible, sinners. They are not designed to bear the full weight of our dependence. We are still to put our hope in God, to depend fully and completely on Him. Verse 6 gives us a wonderful, beautiful, example of a flawed human being in Sarah – just like us. A woman we can read about, whose life took twists and turns, tested her faith, tested her resolve, and in the end she came through full of faith, trusting in God, respecting and submitting to her husband. Hebrews 11:11 commended her faithfulness. And it’s through her example and her struggles that we can bolster our own efforts as we grow in our own marriages. Ultimately, we need to put our faith and trust in God, trust that He will lead our husbands so that our husbands can lead us. In doing so, we will be pure and beautiful in our husbands’ eyes. 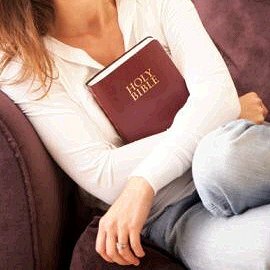 And, importantly, we will provide an example to younger wives, teaching them how God’s word should apply to their own lives. I thought the way you worded this was so beautiful! We discussed these same principles in ParentZone a couple weeks ago and the topic was “Biblical Motherhood”. Part of being a good mother is also being a good wife as it will, undoubtedly, influence the partners our sons and daughters choose for themselves down the road. I had never really approached motherhood from this angle before and it was really enlightening. I must confess, until this seminar and until your blog, I always thought submission and subservience were synonymous. I have since learned this is not the case and I will apply these teachings to my daily living and my daily devotionals. Thanks so much Hallee for another inspirational lesson! I’m reading Feminine Appeal now, too. It is a really good book and I am enjoying her perspective. You are always such a great encouragement to me. Thank you! I love her writing voice. 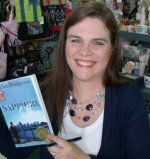 I heard her interviewed one time, and she talked about something she put in the introduction or first chapter of this book — when someone asked something about keeping a husband happy in marriage, or content, or walking with God – I can’t remember the scenario, but her answer was, “Go knock his socks off in bed” HAHA. I was driving and almost ran off the road laughing so hard.